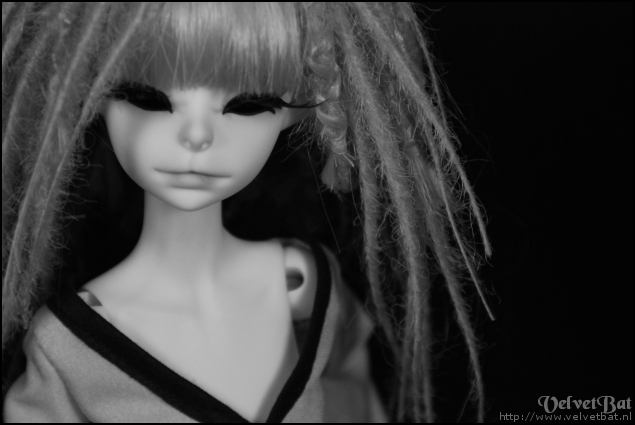 Today I finished making my own softbox. 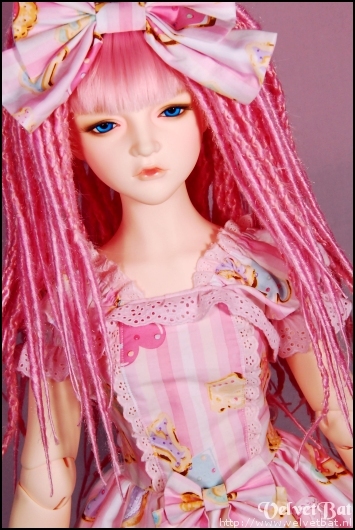 And that was a good excuse to use my Dollmore Trinity Jude with her new wig I made myself by hand a couple of weeks ago to test it out! 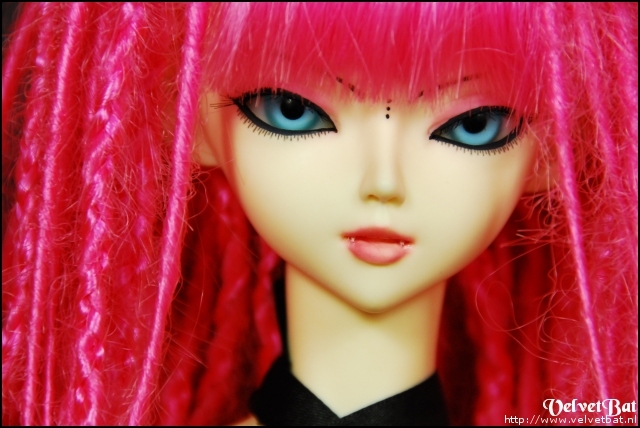 And I am really happy with the results. 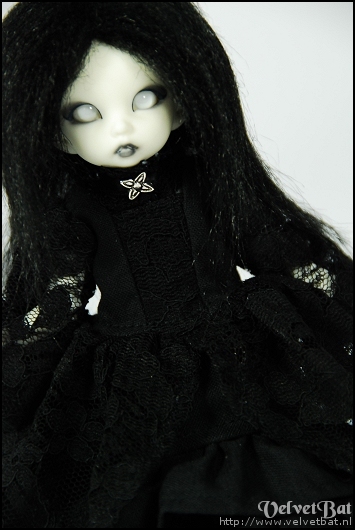 Another tiny. 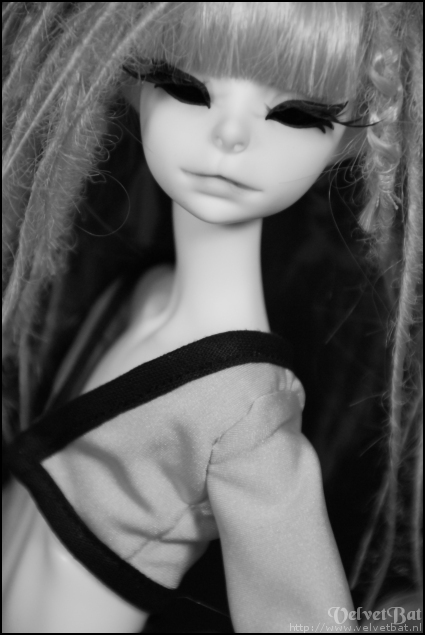 When Luts released her I simply couldn’t resist. 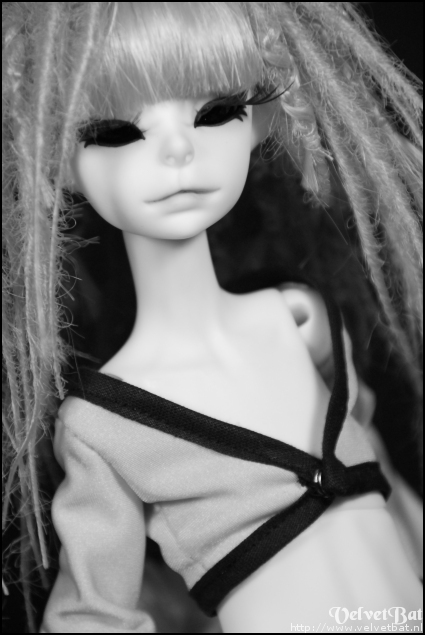 And I also couldn’t resist giving her a dreadwig as well, even though she is really small in size! 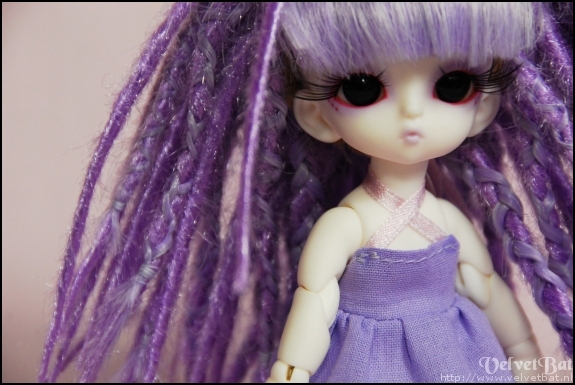 Outfit, dreadwig and face-up are done by me. 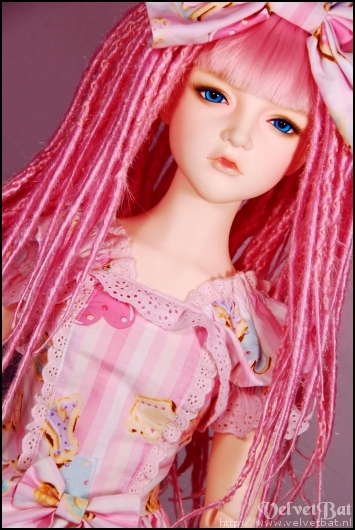 The Dollmore Trinity Jude is a really tall ball jointed doll: she has a height of 105 cm! 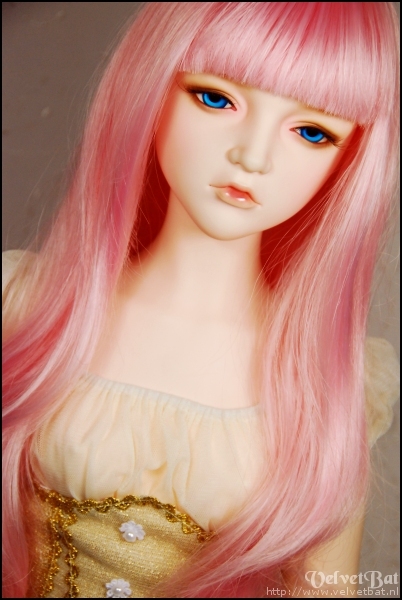 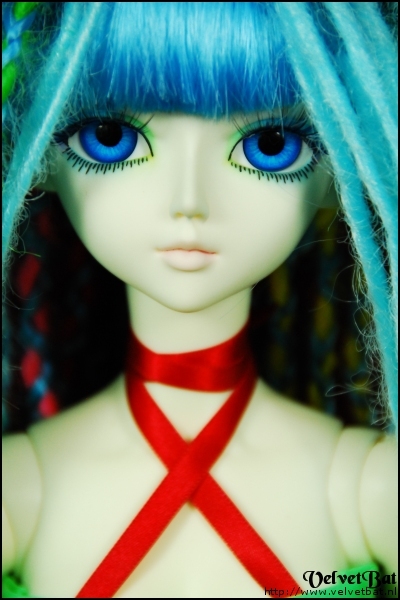 Her face-up is the default of dollmore. 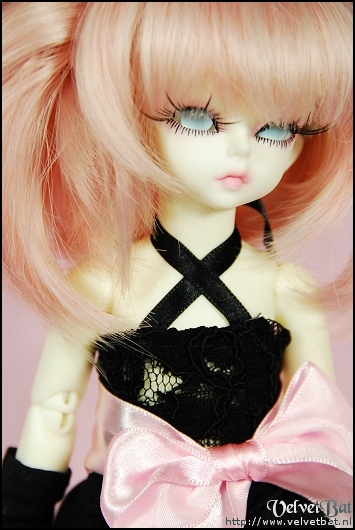 On the first 4 pictures the outfit is also from Dollmore. 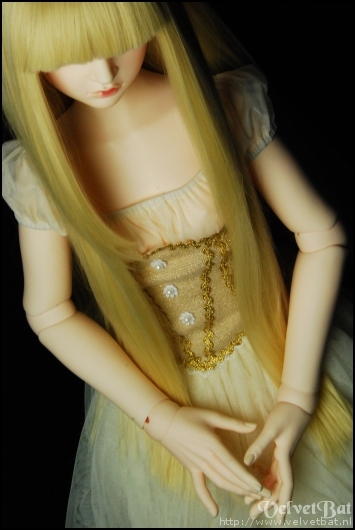 On the last 4 pictures, the outfit is done by me. 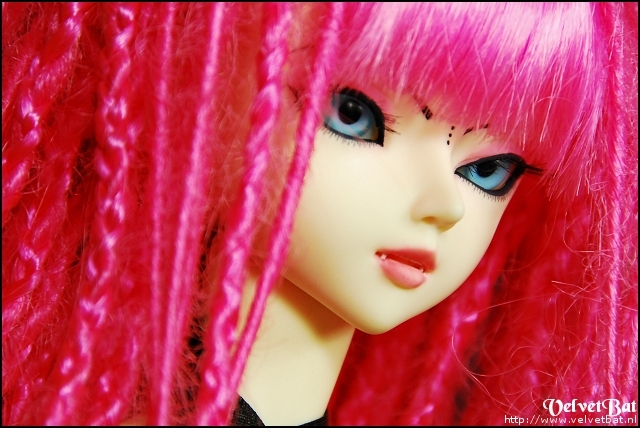 Both the normal pink wig and the dreadwig are made by me. 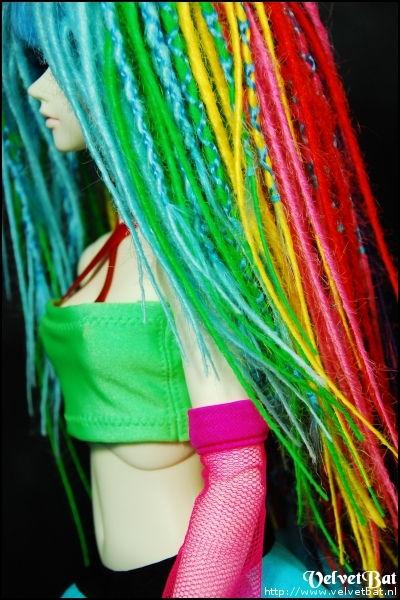 The wig is fully sewn by hand, the dreads are braided in at a later stage. 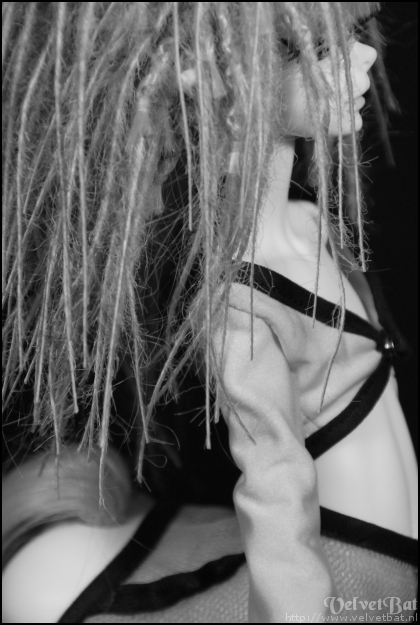 The dreads themselves were also made by hand. 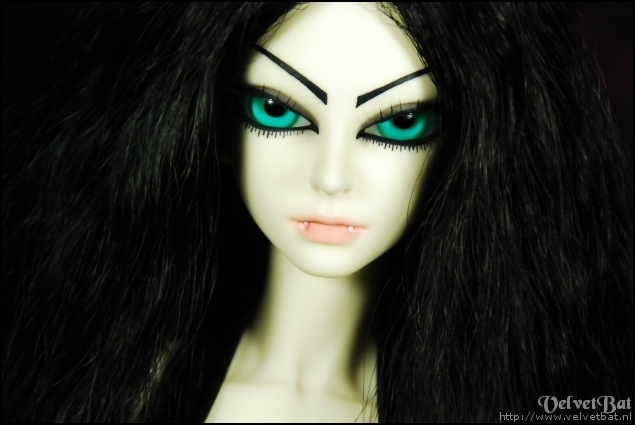 It took a lot of time! 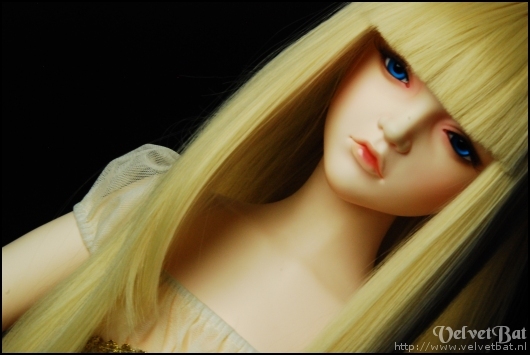 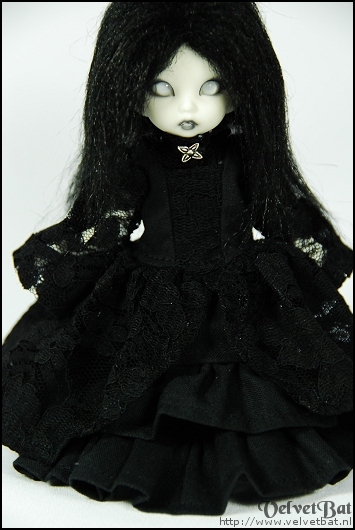 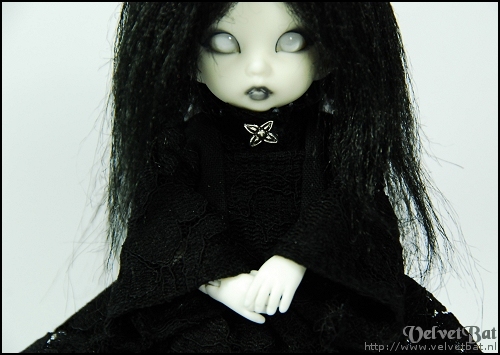 Luts delf Lu-Wen Vampire on a luts delf girl body. 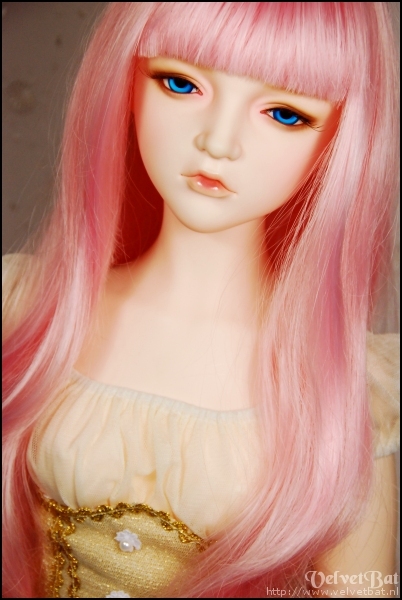 Outfit and face-up are done by me. 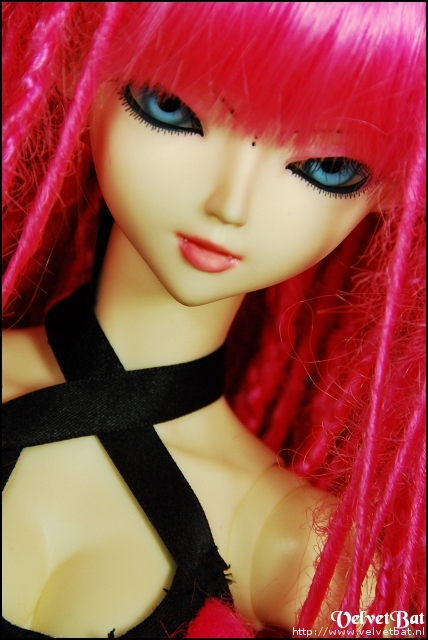 Outfit and face-up done by me. 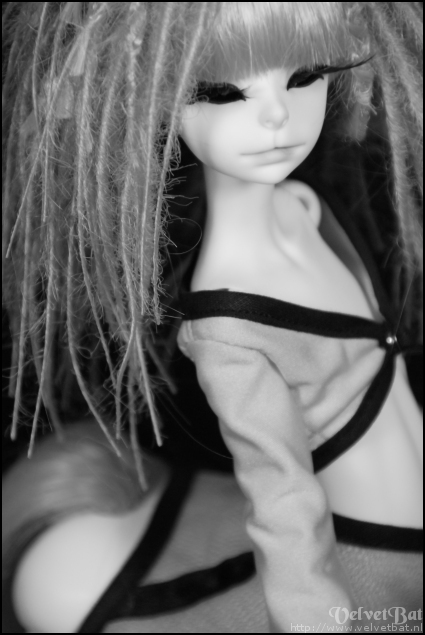 My Puki Ante Multihead on a resinsoul tiny body is my tiniest doll at the moment. 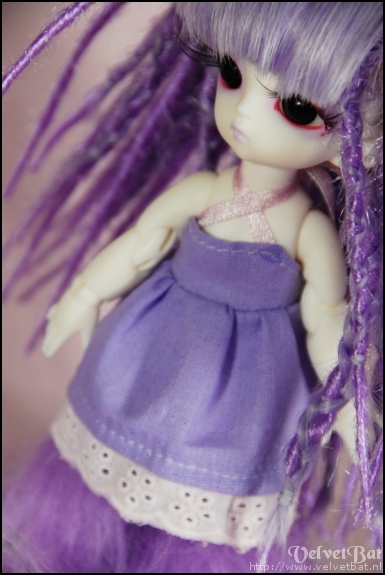 It was quite a challenge to sew her a dress and do her face-up! 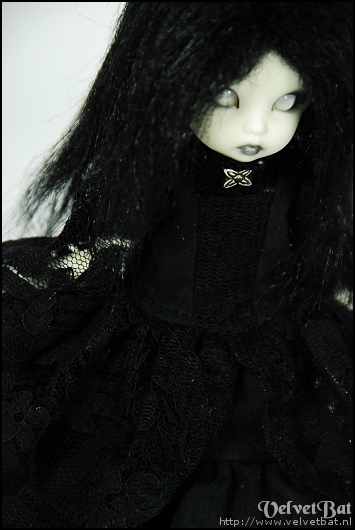 But I am very happy with how she turned out. 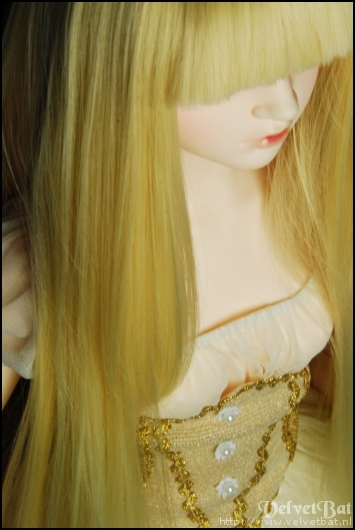 Exactly as I wanted her to look. 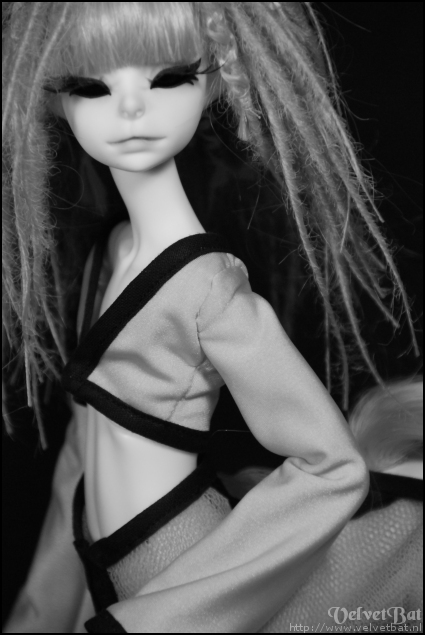 Outfit, furwig and face-up are done by me. 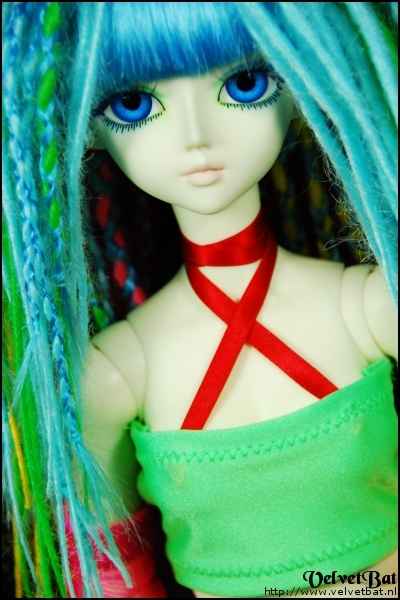 Skittles is my most colourful doll, that’s one thing for sure! 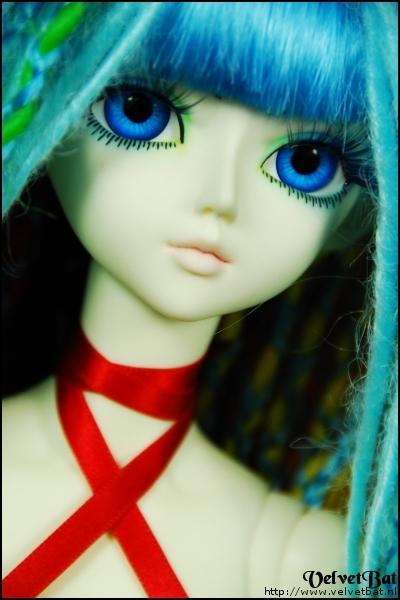 She is a Luts delf Angel elf Soo. 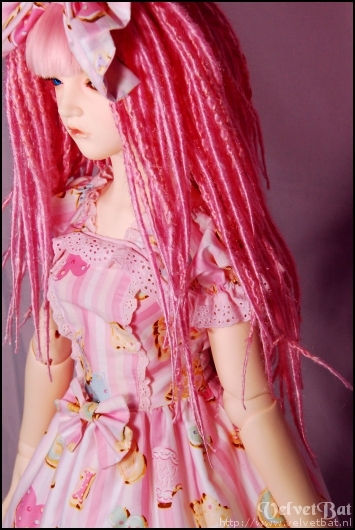 Her dreadwig, outfit and face-up are all done by me. 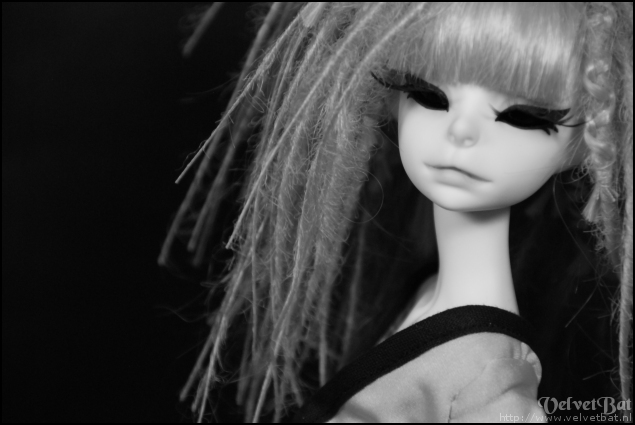 Photoshoot with my Soom Syen human. 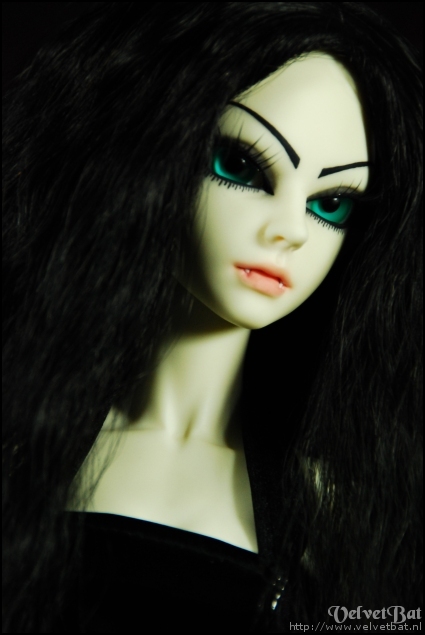 Outfit and face-up done by me. 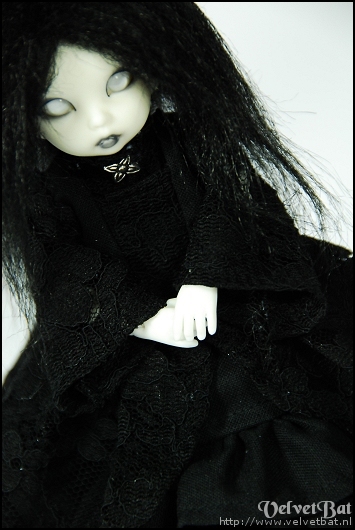 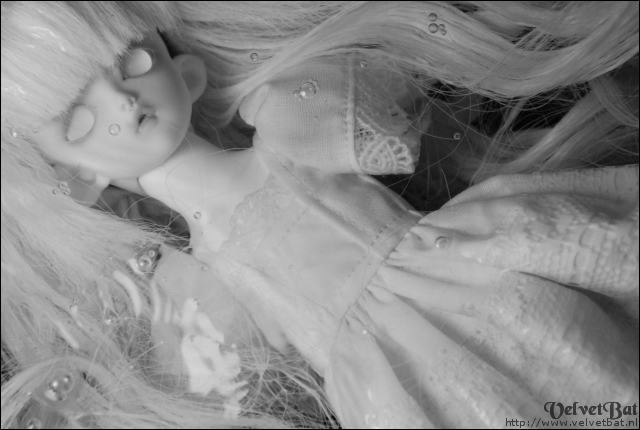 And here is a black and white photoshoot of my Doll Chateau Alberta.